Question: "My little niece is just about to turn one year old. And I've recorded lots of videos about her with my Nexus 7 and wanted to show them on her 1st birthday party. Before that, I need to re-edit them on my computer which means I have to transfer videos from Nexus to computer. By the way, I have some other videos that I want to move to my Nexus as well. Is there some way that both can transfer videos from Nexus to computer and from computer to Nexus? That will be so kind if you could give me some suggestions. Thanks for your help in advance." How to transfer videos to Nexus 7 and how to transfer videos from Nexus 7 to computer won't be a problem any longer with the assistance of the MobiKin Nexus Video Transfer or Nexus Video Transfer for Mac software. 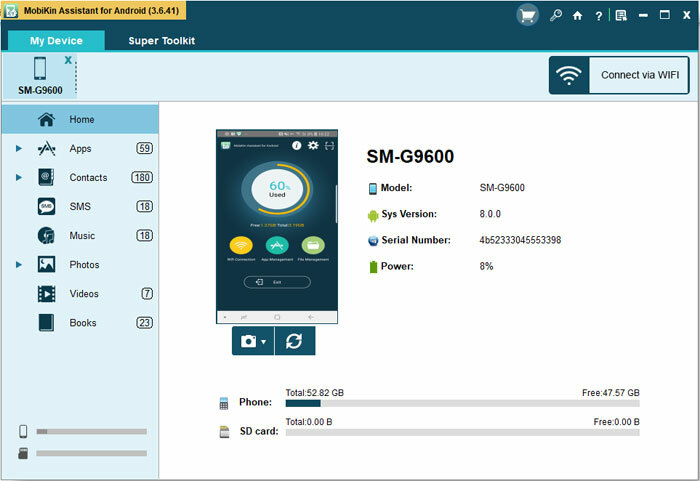 In addition to sync videos between Nexus and computer, this standalone third-party program allows you to transfer other data such as music, photos, apps, contacts, tasks and files from computer to Nexus or from Nexus to computer without any quality loss. What's more, its high compatibility makes it support any Android device including Samsung, Sony, HTC, Motorola, LG, HUAWEI, and ZTE, etc. This powerful has the Windows and Mac versions for Windows and Mac users. You can choose the right one to download and install it on your computer and then follow the instructions on how to operate it below. Download and install the free trial Windows version on your computer and follow the steps below. Mac users can switch to the Mac version and refer the instructions as follows too. Step 1. Link your Nexus 7 to the computer and then run the program. 2). After that, you can download and install the USB driver on your computer referring to the tips on the interface. After you have successfully installed USB driver, the program will begin to detect your Nexus 7. When the detection is finished, you'll see a window as follows pop up. 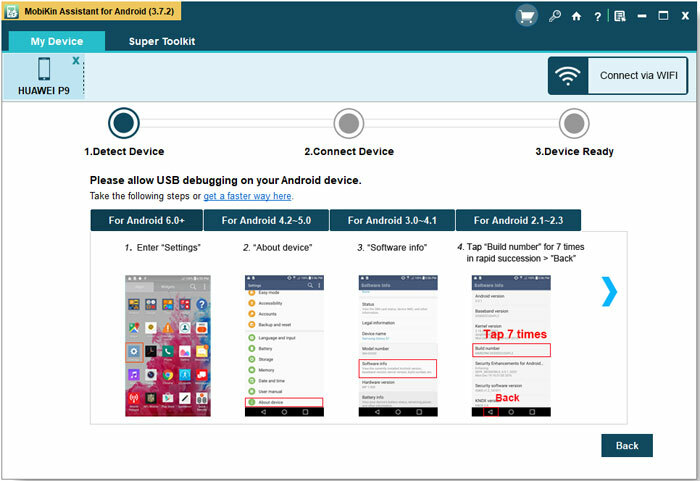 The basic information of your Nexus device is shown on the interface. Step 2. Choose the file "Videos" and go through the items on the right panel. Mark the video items you want to sync and click the "Import" button to transfer videos to Nexus 7. Aside from importing the videos from computer to Nexus device, you can also export videos from Nexus to computer. In addition, other data like music, apps, photos, files, contacts and tasks, etc. can be imported or exported between Nexus and computer as well.